We have all heard that the best way to find a decent electrician to work in your home is to get a personal recommendation from someone you know and trust. While this does make sense, it is very surprising to know that nearly one third of homeowners hiring an electrician through a personal recommendation never bother to check out their qualifications, or see if they are a fully registered electrician with proper insurance. Are you a registered electrician? Having a registered electrician work in your home can greatly reduce the risk of accidents and injuries through poor workmanship. Check that they are registered with an officially recognised body or schemes that are regulated by the UK Government. Check that they work to the BS7671 safety standard, are fully insured and their work is fully guaranteed. Can I check your qualifications? Although you may feel awkward about asking an electrician to prove their qualifications, if they are offering a genuine professional service, then they will have absolutely no problem with your request. This shows that you are dealing with an honest company that are happy to be upfront about their claims and credentials. Seeing is believing, so an electrical company will be more than happy to show off the quality of their previous work. They should carry a portfolio of work done for satisfied customers and even offer an on-site inspection where you can get to see in person the standard of their work and chat to a previous customer first-hand. 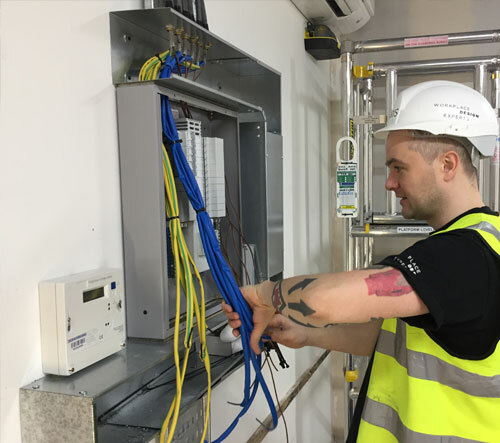 Our small and friendly team of fully qualified and experienced electrician at Bristone meet all of the above requirements and more for providing you with an exemplary electrical service. Your local Barnehurst-based Bristone team are all fully qualified to City and guilds level 2&3, NVQ level 3 and hold City and guilds level 3 inspection and testing. All staff are members of JIB/ECS and have current and up to date JIB GOLD cards. We also are CRB checked and vetted. Our qualifications can be verified via the ECS website. Bristone electrical provide both residential and commercial services for new installs, repairs and upgrades. We offer a free on-site quotations, consultations and full CAD service. We are very proud of our workmanship! We put a great deal of care and attention into delivering our customers an electrical job that is of the highest quality – all with very friendly service! Do not hesitate to contact us to discuss your need directly with our expert team of electricians.